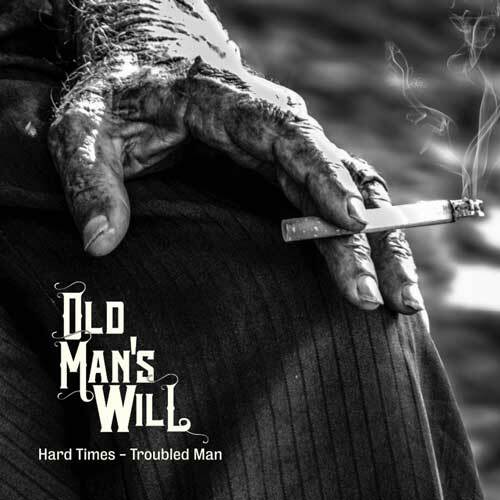 Old Man’s Will – “Hard Times – Troubled Man” out worldwide October 2 2015. Real rock ‘n’ roll requires a little bit of mystique, a little bit of swagger, and a little bit of trouble for good measure. Sweden’s Old Man’s Will possesses all three of those ingredients in spades, and they comingle into a wonderfully inebriating aural concoction on the band’s second full-length album, Hard Times – Troubled Man [RidingEasy Records]. The quartet— Benny Åberg [vocals], Klas Holmgren [guitar], Tommy Nilsson [bass], and Gustav Kejving [drums]—delivers a brash, bluesy, and brilliant opus that’s the perfect soundtrack for all kinds of trouble. In between drunken late night jam sessions, parties in apartments with instrument-covered walls, a healthy diet of Deep Purple, Free, and Stray Dog, and other assorted mayhem, the boys emerged from Umeå’s underground with their self-titled debut in tow. They embarked on a successful European tour before RidingEasy Records came upon their Soundcloud and offered them a deal to reissue their first offering. In the midst of it all, Old Man’s Will began compiling ideas for what would eventually materialize as Hard Times – Troubled Man, sharing a collective vision.